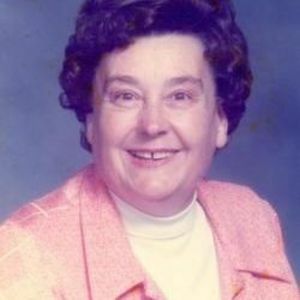 Mary Jo Perry, age 86, of Anderson, passed away Tuesday April 21, 2015 at St. Vincent Hospital in Anderson. She was loved by many and she always had a wonderful smile that reached from one ear to the other and she lit up the room with her presence. My love and prayers for Great Grandma Perry. I am so blessed and honored to have such an amazing and strong great grandmother. The memories you gave me fill my heart with joy. I will always remember your strength, independence and love for our lord. I love you and will miss you dearly. I know someday we will meet again. I am so proud and lucky to be your grandaughter, and to have such an amazing, strong, beautiful, intelligent mentor. Grandma you are the backbone to this entire family. You are truly loved by all. I love and you will be missed dearly. We love you mom thank you for all the years of being there in good and bad times. Missing my beloved Aunt and sending my love to my cousins. Aunt Mary was a hard working farm mother and wife, who always welcomed me into her home. I greatly admired her courage to overcome great physical limitations caused by polio. This devastating disease struck her down in the prime of her life, with small children to raise. She overcame many obstacles and remained kind and loving. I will always cherish the knit throws, meals and the work she did on family history. She loved researching our past. This Godly woman raised 3 beautiful daughters, who are also Godly women who are kind and loving. She will be missed by her children and many Grandchildren, Great Grandchildren and Great-great Grandchildren. These were her joys and she always showed off their pictures when I visited. She was so proud of her family. She will be greatly missed, but we will see each other again in Heaven.